Change up your grilling routine with this summer with Simple Grilled Pork Chops with Apple Dijon Glaze. 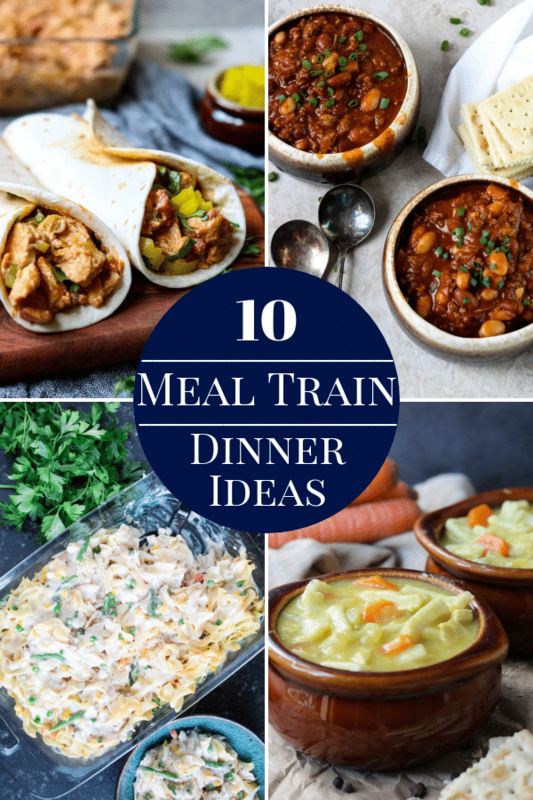 There’s no marinating or waiting required. Just season the pork chops straight out of the fridge with a little olive oil, salt, and lots of cracked black pepper and get them on the grill. 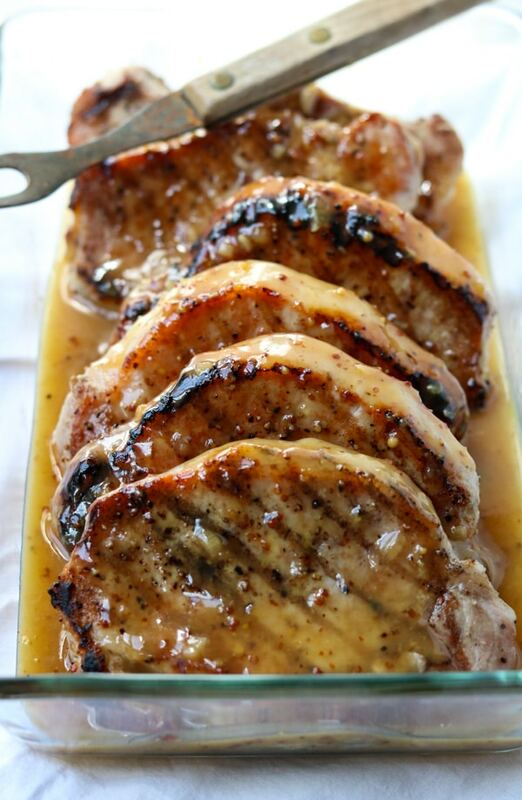 The Apple Dijon Glaze is what takes your Grilled Pork Chops over the top! 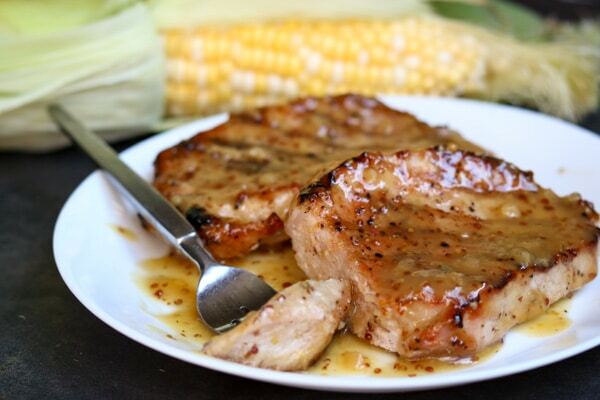 Apple Dijon Glaze is a sweet and tangy sauce that gets poured over the warm Grilled Pork Chops. The combination of the apple glaze the the grill flavor is summertime heaven! 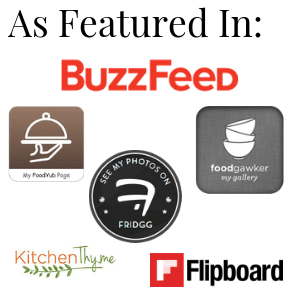 Save the recipe for later- Pin it here! Whether you are using bone-in or boneless pork chops (I used 3/4-1 inch thick boneless) the main thing to remember is to not overcook your chops! When pork is overcooked it can be dry and tough to chew. There is no need to cook your pork into shoe leather. You can cook your pork to 145° fahrenheit internal temp, which will give you a medium rare chop. I like mine cooked to about medium, 150°. You can test this with a good meat thermometer. Remember that even though it may look pretty pink inside there will be something called “carryover cooking” while the meat is resting. Carryover cooking means that the internal heat from the cooking process will continue to cook the meat while it is off the grill. I use a charcoal grill and like to use a two chamber charcoal chimney to prep my coals. You simply fill the top of the chimney with (chemical free) charcoal. Next stuff the bottom with a few pieces of newspaper and light them on fire. Once the top coals turn grey/white hot it is time to dump the coals into the grill and get cookin’! I like to set up my grill so that I have an even layer of charcoal under the area that the pork will be cooked. This will give you a medium high heat. Once the grill grate is nicely heated I lay my pork chops (3/4-1 inch thick, bone in or boneless) on the grill and start the timer. I grill the first side for about 4 minutes, flip and give the second side 4 minutes. Make sure your pork is at least up to 145° using a meat thermometer. 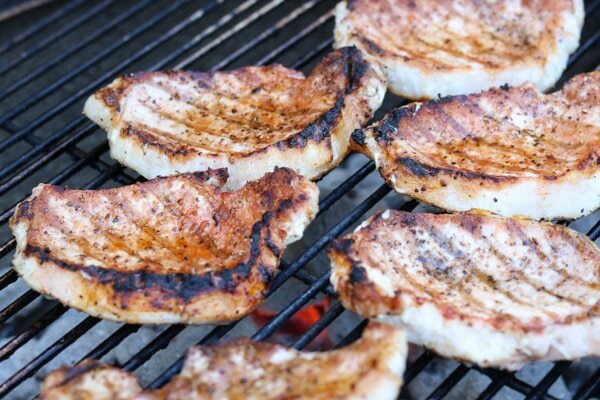 Let your pork chops rest off the grill for about 4-5 minutes before serving. 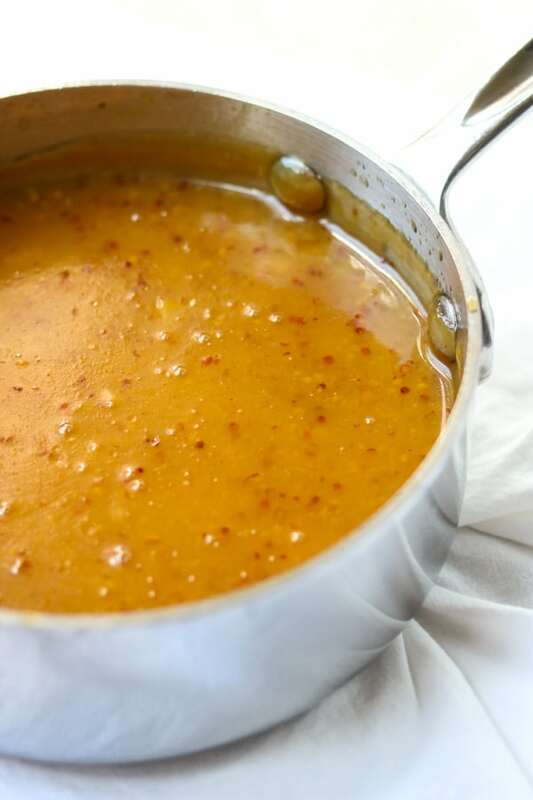 You can choose to make this sauce on the stovetop or you could even do it on the grill and keep all the cooking outside. However the instructions I have included are for stovetop. If you were to make the apple glaze on the grill just find a spot on the grill that has warm, indirect heat. I love the ingredient list for this sauce. 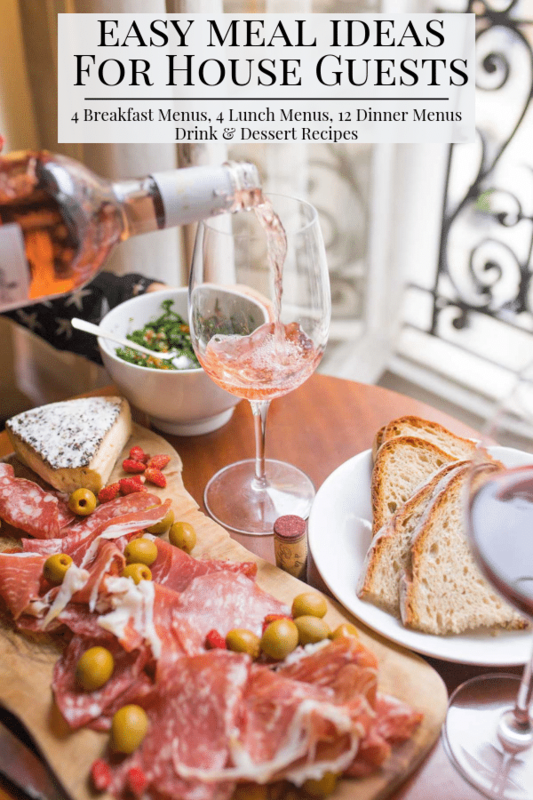 It is so simple yet tastes so luxe! Mince the garlic and saute it in the oil, over low heat, for about 3 minutes until it is fragrant and warm. Add the thawed or semi thawed apple juice concentrate. 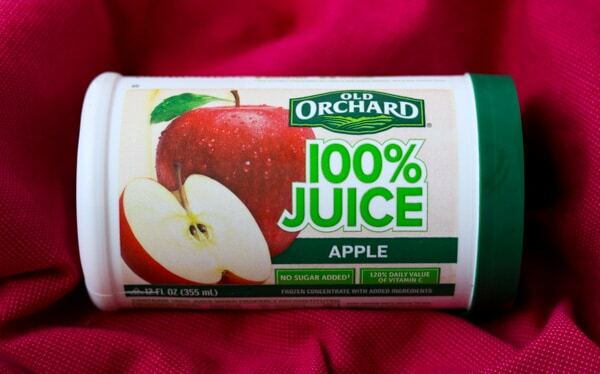 This adds a rich apple flavor and sweetness. Once it is warmed thru add both mustards and whisk until it is completely combined and emulsified. Bring this mixture to a hard simmer, over medium heat, for about 5 minutes. Turn the heat back to low and add the cornstarch and water mixture (called a slurry). Remove the sauce from the heat and let it thicken as it sits. You will have enough glaze for up to 10 pork chops. Once the Pork Chops are grilled and the Apple Dijon Glaze is prepared it is time to assemble and serve. Use a casserole pan or serving platter large enough to fit all your pork chops, it’s ok if they are overlapping. Pour half the glaze over the pork chops. Pour the remaining glaze into a serving container for the table. When we eat these we like A LOT of the glaze on the chops, it is so delish. The recipe does make a lot so depending how many pork chops you make you may have some leftover. We love having these apple glazed pork chops for dinner on warm summer nights. They pair perfectly with summer produce- corn on the cob and my Lemon Garlic Green Beans. We have also had oven roasted brussel sprouts with our grilled pork chops and that is excellent too! I hope you give this recipe for Grilled Pork Chops with Apple Dijon Glaze a try in your kitchen. 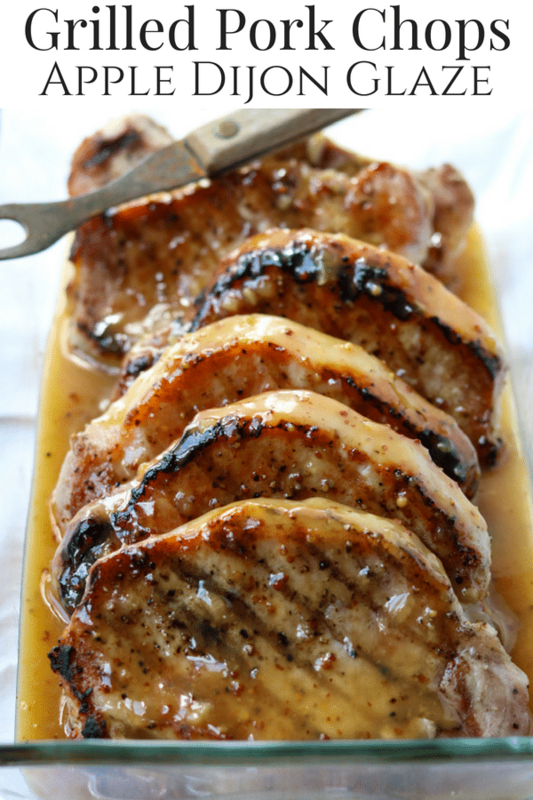 Delicious Grilled Pork Chops covered in a sweet and tangy Apple Dijon Glaze. 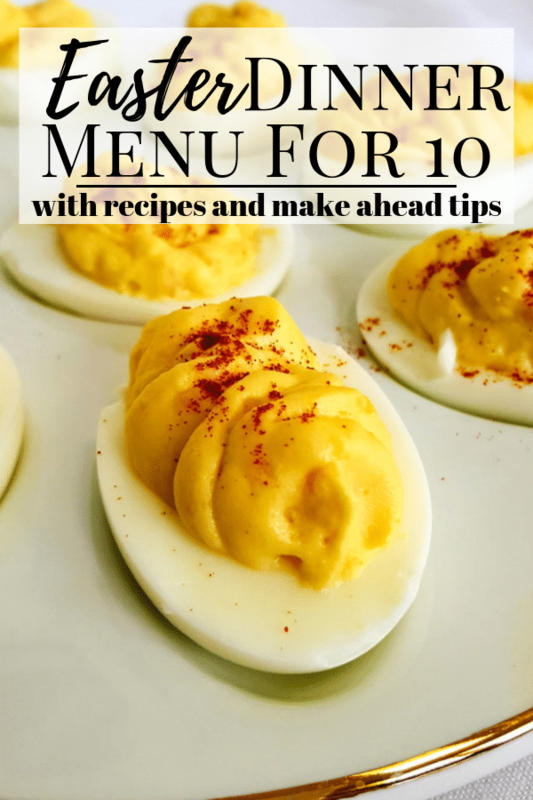 Simple to make with easy to find ingredients. A ton of flavor with very little effort! Drizzle a little olive oil on both sides of each pork chop. Next sprinkle a little salt and a lot of black pepper to each side. Prepare your grill to a medium high heat. This will be around 450 on your gas grill. If you are using charcoal, like me, set your grill up with an even, medium layer of white hot charcoals directly under the area that the chops will be cooked. Your chops should be at least 145 degrees fahrenheit, read on a meat thermometer. I usually cook mine closer to 150 degrees. Let the pork chops rest, uncovered, off the grill for 5 minutes before serving. Add the thawed or semi thawed apple juice concentrate and warm thru. Whisk in both mustards and the salt until they are well combined and emulsified. 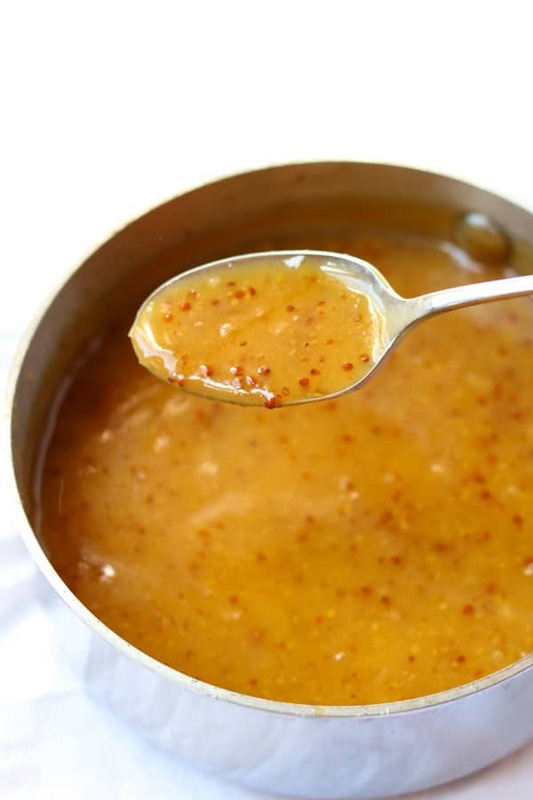 Increase the heat to medium, medium-low and bring the glaze to a hard simmer. (It will still be very thin at this point). Simmer for 2-3 minutes. Mix together the cornstarch and water in a separate bowl. Stir until the cornstarch is dissolved in the water, make sure you get all thick cornstarch off the bottom of the bowl. Turn the temp down to low and stir the cornstarch mixture into the apple juice/mustard mixture. Cook for another minute. Place the Grilled Pork Chops on a serving platter or in a casserole pan, it is ok if they overlap. Pour half the Apple Dijon Glaze over the warm pork chops. Put the remaining Apple Dijon Glaze in a serving container for the table. Wow these pork chops look delicious and super tender! 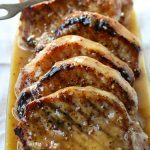 We love pork chops in my family and this Dijon mustard glaze looks scrumptious, I really must try it! Mouthwatering! Thank you! I hope you give them a try. They are great in the summer and in the fall!